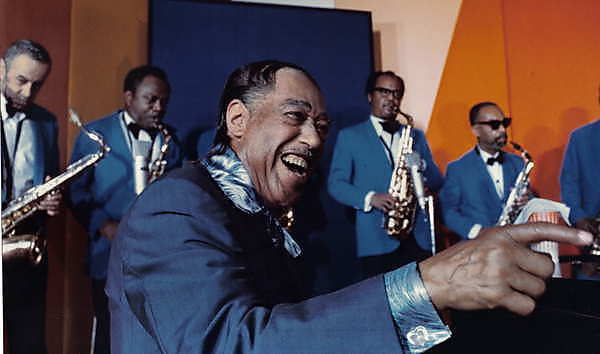 The live performances of jazz legend Duke Ellington, and how they differed from his recorded work, are to be explored in a new research project by a Plymouth University academic. Lecturer in Music Dr Katherine Williams has been awarded the first ever Jazz Research Fellowship by the Ella Fitzgerald Charitable Foundation and the Jazz Education Network. The two-year fellowship will provide her with access to one of the world’s most extensive musical archives – held in the Smithsonian Institution’s National Museum of American History in Washington D.C – where she plans to advance her existing research into one of the genre’s most important figures. As part of her fellowship, Dr Williams will travel to Washington DC to explore the Smithsonian Institution’s collection of original papers, photographs, sheet music, recordings and advertising material. She hopes to use that information to further understanding about the history of improvisation, and how it has influenced musical performances and can continue to do so in the future. Dr Williams also plans to set up a band in Plymouth, encouraging students and the local community to recreate Duke Ellington’s work in its various stages as a way of representing jazz’s enduring appeal. At the completion of the fellowship, she will deliver final presentations of her research at the Smithsonian Institution, as well as at the Jazz Education Network (JEN) Conference in 2017.